Progression or conversion? See the transformation of #Victor Pasmore’s work from lyrical representation to radical abstraction, described by Herbert Read as ‘the most revolutionary event in post-war British art’, from today in the #must-see exhibition #Victor Pasmore: Towards a New Reality @Djanogly Gallery, @LakesideArts, University of Nottingham.. This exciting display features View on the Cam from Magdalene Bridge, #Cambridge, No. 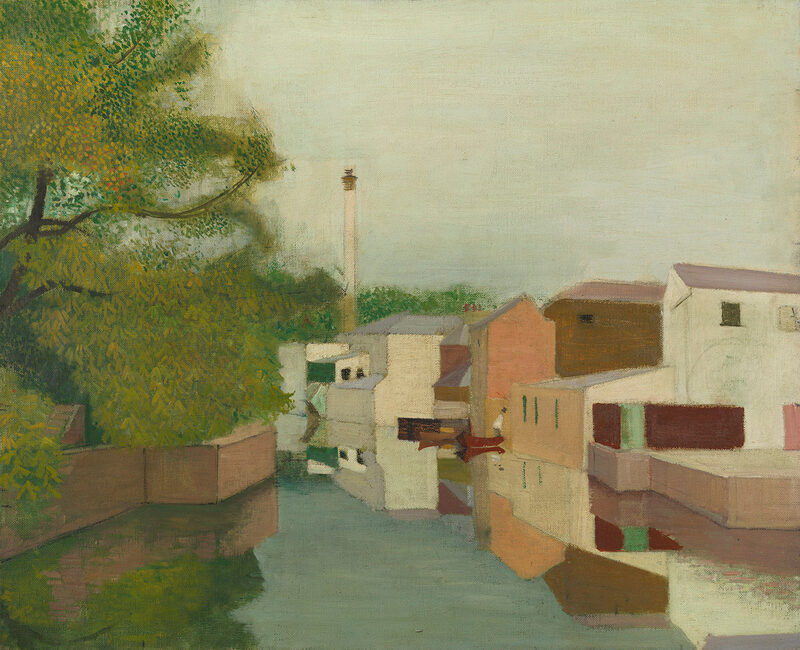 2, 1947, lent by @Richard Green, a single-mindedly modern view of the historic city which documents the seminal moment of Pasmore’s development from soft, Pointilist foliage trailing over the walled gardens of #Magdalene College, to the structural formality of the recilinear warehouses on Quayside. A sophisticated exploration of the art of compositional construction, View on the Cam is an elegant balance of nature and architecture, light and space, figuration and abstraction.